You'll earn points based on how difficult your combo is. Prize money will be split up based on points scored. To see how many points you'll earn for a particular combo type the combo into our combo calculator. Video submissions must be of raw footage without cuts or edits. Your entire body must be visible at all times including your feet, hands, and head. Immediately after you land your combo, run up to the camera and say "American Trickline 2016" so we know you landed the combo this week! $10,000.00 will be split between the men's and women's division according to the distribution of men & women in the competition. The 2 pools will then be divided among competitors proportional to the total points scored by each competitor. For example, if there are 300 men and 200 women $6,000 would be allocated to the men's pool and $4,000 would be allocated to the women's pool. Within these pools, the purse is then split according to total points scored over the course of the competition. Any single trick can go in a blank. 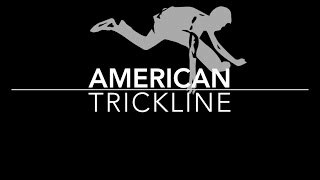 A single trick in the American Trickline Association scoring system is either a single air trick or a single contact trick. 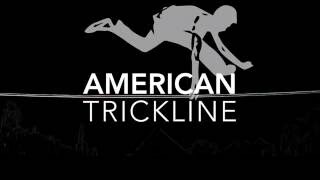 For more information on contact tricks and air tricks see our first scoring tutorial. No. You can only submit one video per round per account. The ATA scoring system can handle all rotations. If you land a new rotation and aren't sure how to type it in watch our tutorial on rotations. If you still can't figure it out send us an email and we'll help you out! If you land a new grab or bounce contact us and we'll add it to the system!